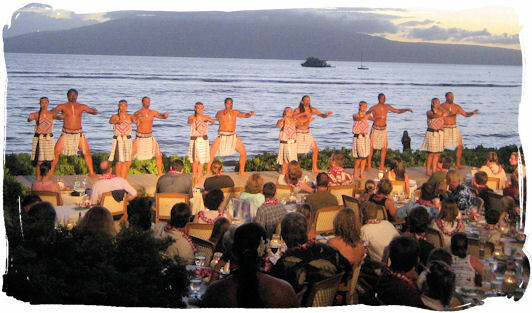 It’s hard to think about traveling to Hawaii without going to at least one luau. The Feast at LeLe is a sit-down dinner featuring five courses from the Pacific island nations of Aotearoa, Tahiti, Samoa and Hawai’i. This farm-to-table dinner includes a sunset show spotlighting music and dance from these four Pacific islands. At this table-service feast you get to eat authentic food from each different region. Every table is intimate and offers a panoramic view of the West Maui sunsets. LeLe is the ancient name for Lahaina. This is the beach where the royal family of Maui would feast and entertain. When you ask questions at Pacific’O, you’ll be happy with the answers you get. Ask about the competition. “Pacific’O is the first privately owned restaurant to own its own farm in Hawaii. Today there are only a handful of farm-to-table restaurants in all of Hawaii,” Robert said. If you want to eat at a quality restaurant, it doesn’t get any better than this. Ask about their menu. Chef Anton moved to Maui shortly after graduating from the prestigious Le Cordon Bleu College of Culinary Arts in San Francisco. Prior to joining the Pacific’O team, he spent ten years honing his craft in some of Maui’s highest ranked restaurants: the Sheraton Maui Resort, Gerard’s, Kimo’s and Star Noodle. Executive Chef Anton Haines has established himself as one of Maui’s rising star chefs by creating delectable menus based on in-season locally sourced foods. 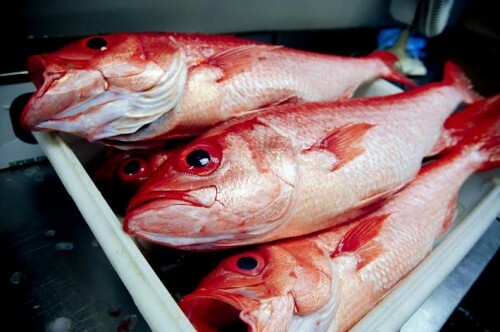 Local fish, such as Onaga, are caught one day and delivered first thing the next morning to Pacific’O. “The main benefit for you is that you get fish that’s been out of the water for only a day. The fish served here is about 85% local. The difference is that you see fresh clear translucent cuts, not the cloudy fish you see that’s older. When you taste the local fish here in HI, it’s lighter. The government’s version of fresh fish is 20 days. You typically see fish wrapped in foam and you have to just trust what the labels say,” Robert said. Ask about their ingredients. Pacific’O has set the standard for farm-to-table cuisine on Maui. Local fruits and vegetables supplied by their own 8-acre farm in Kula, and free range eggs come from The Neighborhood Farm in Launiopoko. At any given time, about 30-70% of the produce comes from their own O’o farm. There’s nothing else quite like it on the island. The rest is locally sourced as much as possible. But in order to provide a full menu, they apply their own 70-mile rule, because they do get some foods from the big island. Ask about their farms. If you want to learn more about where their food comes from, you can visit the O’o Farm and The Neighborhood Farm. Enjoy a truly unique island experience at the O’o Farm in Upcountry Maui. Explore the gardens, learn the ways of all natural growing and sit down for a gourmet lunch prepared in your presence. The vegetables are harvested with you and then prepared in an outdoor kitchen. It’s a pure expression of Hawaiian cuisine benefitting your body and soul. It’s as fresh as fresh can be! This is a guided tour of the farm where you can learn about sustainable growing practices. Even if you don’t have your own farm or backyard garden, you’ll appreciate this tour. In 2000, surfing buddies turned successful restauranteurs, Louis Coulombe and Stephan Bel-Robert purchased over 8 acres of near-virginal upcountry land to grow natural produce for the Lahaina restaurant, Pacific’O. Louis, who’s passionate about flying, first noticed the property when he was paragliding. The property which had been a hippy commune years before, but it wasn’t maintained. It was overgrown with wattle trees. Louis and Stephan made a plan to set up natural growing practices and started executing the plan to clear the property and to plant exciting products for the plate. At first the diversified farm was largely experimental with a citrus and stone fruit orchard and a few coffee trees. Since then, they’ve diversified quite a bit. Today they focus on growing the things that are expensive to purchase and things that grow well in the Kula environment at 3200 feet. The chefs here don’t just see interesting pictures in a culinary magazine and decide to ship in ingredients from all over the world. When they want to add something to the menu, they first have to grow the crop, and know they can sustain it before they release the dish. Since roasting coffee was part of Louis’ weekend relaxation anyway, he decided to try roasting coffee beans for their own operations. Stephan is French and enjoys his coffee too. That’s how Aina Gourmet Coffee began. In 2009, Stephan, Louis and their chef partner James McDonald opened Aina Gourmet Market, a local foods marketplace with a full coffee bar serving 100% Maui grown and O’o Farm roasted coffee. They created a relationship with Ka’anapali Coffee Farms to grow five varietals on about 250 acres. O’o Farms purchases the beans and roasts them on their farm. They built a world class coffee tasting room with an amazing view. Now they have a Seed to Cup tour on the O’o farm. You can walk through their tree groves and see the different stages of coffee trees. You can pick berries and then move up into the tasting room where you observe a live roast. It only takes about 15 minutes. And then you get to taste the coffee. The beans are single varietal, like a single varietal wine. They don’t over roast. Coffee connoisseurs enjoy their morning brew as much as wine enthusiasts enjoy an evening glass of red. They describe their sips in terms of body, acidity, flavor and finish . . . ranging from mild to wild. Aina roasters focus on creating the perfect conditions to attain the right balance of flavors. All Aina Gourmet Coffee is 100% Maui grown and 100% O’o Farm roasted. 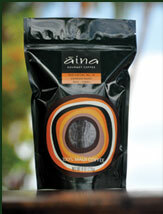 “Aina Gourmet Coffee is our brand of coffee. It’s grown on Ka’anapali Hillside by Ka’anapali Coffee Farms. We take their beans to our farm and roast them up there. We also grown our own coffee at O’o Farm but only enough to sustain the farm guests,” Robert said. “Aina Gourmet Coffee is served at at Aina Gourmet Market in the Honua Kai Resort & Spa at Ka’anapali Beach, and also at the Ritz-Carlton Kapalu Resort. Both markets are very busy and have a big following. We also make our coffee in a French press at Pacific’O and we sell it whole or ground in half-pound and one-pound bags at every venue we have. From ground to roast is about 2-3 days. With this turn-around time, you don’t lose any essence of the coffee itself,” Robert said. Participate in the Egg Farm & Gourmet Lunch tour at The Neighborhood Farm in the scenic West Maui Mountains. This is a free-range chicken farm in Launiopoko. It sits on 15 acres of agriculture land at the top of the hill. This educational chicken tour is for both locals and tourists interested in learning about how to farm chickens. During the first part of the tour, you enjoy spectacular ocean and mountain views, learn about the history of the area and meet local chicks. 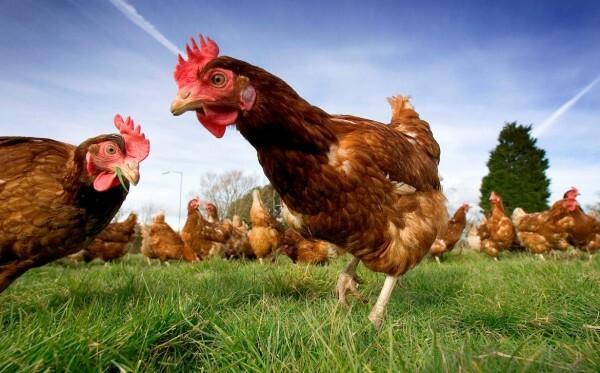 These beautiful free-range hens are kept outdoors so they can enjoy fresh grass and bountiful bugs every day. The 750-1000 birds enjoy coops with million-dollar views. They’re contained by soft electric fences to help keep the predators out. This is a concept of how you can raise eggs locally, without large-scale commercial farming. The farm provides eggs for local restaurants and grocery stores. The second part of the tour is followed by a meal served in the seaside ambiance of the Pacific’O restaurant in Lahaina. It’s about 10 minutes from The Neighborhood Farm. This gourmet meal features dishes from freshly gathered eggs. Contact Pacific’O to make reservations for this lunch tour. If you’re interested in volunteering at the farm, you can pair up with a farmer to do some real harvesting. You get lunch and you get to spend the day working with Head Farmer Richard Clark and Orchard Manager Ancil Clancy. Which of these experiences suits your taste? These interdependent sister companies make up one small lifestyle company that has grown from the ground up, literally. If you cherish your health and the well-being of our planet, support farm-to-table businesses like these. Because of the popularity of their food and tours, it’s a good idea to make reservations at least several days in advance. Tools like Yelp, UrbanSpoon and TripAdvisor give local businesses the opportunity to thrive among big and impersonal, but well-known franchises. Yelp and UrbanSpoon even allow you to search for “farm-to-table” restaurants by location no matter where you are in the world. If you’re willing to take the time to read through customer review rants and raves, you’ll often find that local businesses do a better job overall of providing personalized service. And you have the opportunity to experience the local culture as well as support people in pursuit of the dreams and passions. How many people have the opportunity to do this when they work for a franchise? “We know who not to purchase from,” Robert said. “We only buy from people we know really well. 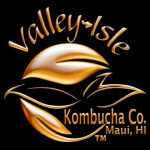 We have Valley Isle Kombucha on tap here at Pacific’O to support a local producer.” When you choose to support lifestyle companies, everyone benefits. “We’re all fisherman, all the owners and management. Stephan has a sailboat in the harbor. We go spear fishing on the back side of Lanai. It’s nice when you can park your boat in front of your restaurant,” Robert said. Franchises are basically branded distribution systems. In most cases, their main focus is on maintaining the consistent taste and feel of their brand. Most are more concerned about their profit than your health. Why eat mediocre food from afar at a franchise when you can eat wholesome locally grown fresh food at a farm-to-table restaurant? Lorraine, what an incredible trip and thanks for sharing all the wonderful stories of Maui.